Little athletes can improve their upper-body strength with help from these Everlast Climbing™ Climbing Hand Holds. 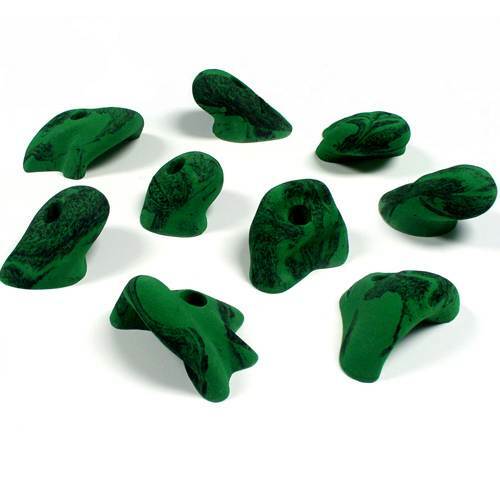 Install these hand holds in an existing climbing wall to engage kids and beginners in a fun, yet challenging, sport. Each textured handle is specifically designed to deliver comfort and a solid grip, so climbers can scale the rock wall without excessive hand fatigue. With the included mounting bolts, this set makes for ease of installation, so you can spend more time teaching and less time setting up.